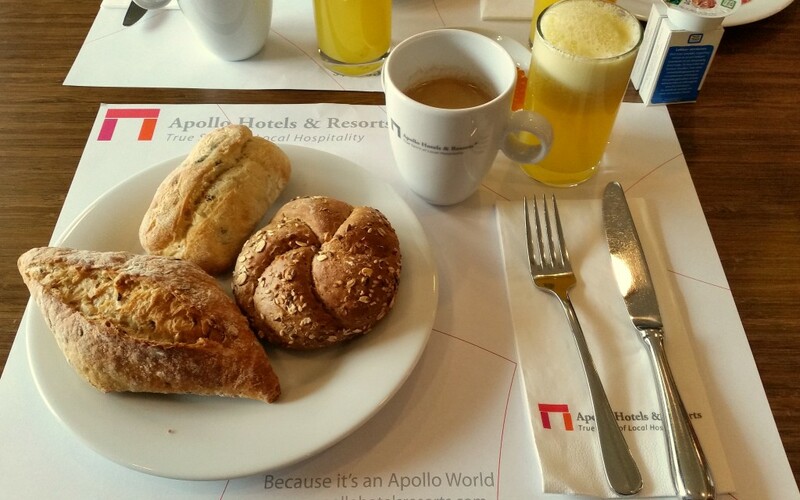 Excactly one year ago we stayed at Apollo Hotel Papendrecht for the first time. While bad weather then forced us to cut short our plans to visit Rotterdam, we decided we would try our luck a second time. 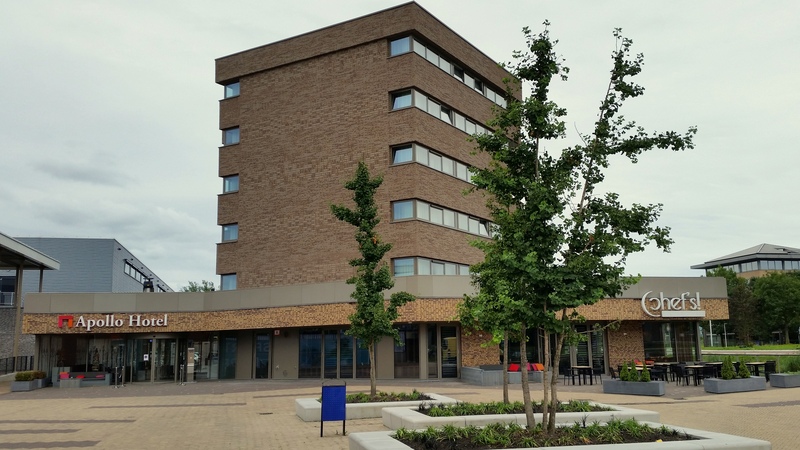 While last year there was still a construction site next to the hotel, the new Papendrecht sports centre is now finished and the hotel itself underwent a complete renovation of its facade. Last year we stayed in the new wing of the hotel, this year our room was located in the original hotel building. Nevertheless both rooms have the same layout. The only differences between the two rooms are that our previous room had a wooden floor while room 208 is carpeted, which might be an issue if you have allergies. Though we noticed the floors were vacuumed daily and we couldn’t see any stains, we preferred the wooden flooring as it is more hygienic. The second difference between the rooms is the bathroom. 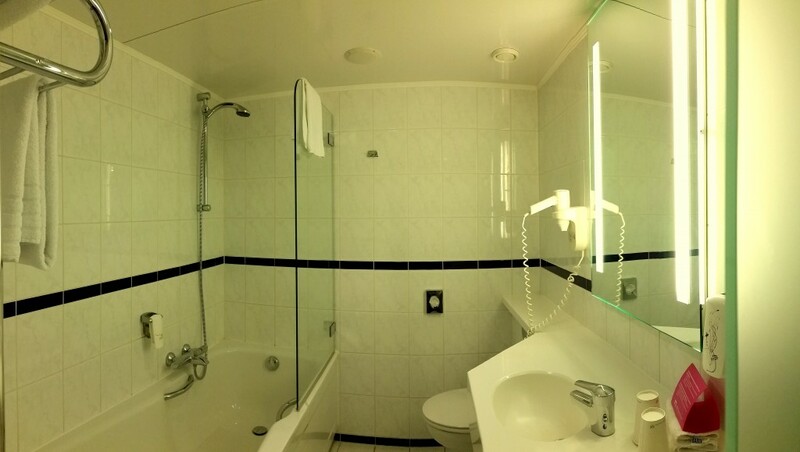 The design and tiling of the bathroom immediately tell you what part of the hotel you are in. However if you prefer a bath instead of a shower this is the place to be. Though the bathroom was clean we did find some mold stains on the bathtub caulking. The one thing we did not like about the room was it’s location. The windows directly face the sidewall and corridor windows of the new wing. As a result the room is quite dark so you have to keep the lights on (the original pictures are much darker). Also the fact that I can see who is waiting to take the elevator in the other building means that they have a clear view into the room. 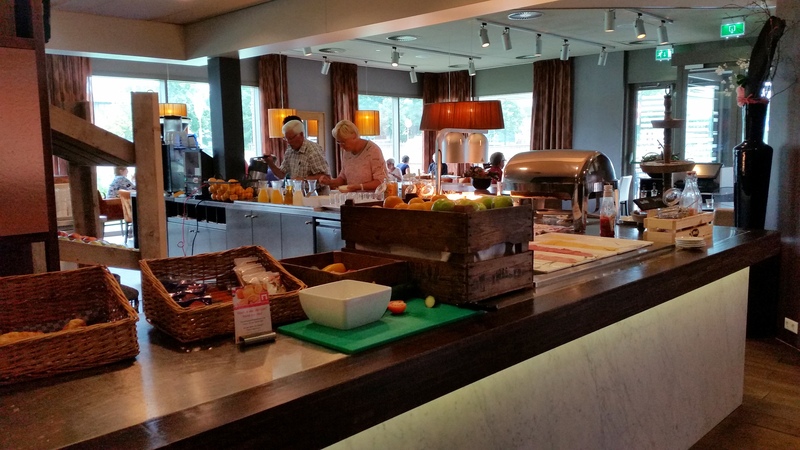 At the time of check-in we were informed that the hotel was fully booked and they had decided to offer breakfast in 2 shifts. As we like to sleep late we opted for the second period and were told there should be no problem with overcrowding. We arrived about 30 minutes before the end of normal weekend breakfast hours and, though there was indeed no overcrowding, could not find any available table, all tables were either occupied or dirty. Having spoken with a member of staff a table was eventually cleared and set. This gave us time to inspect what was on offer. From the few slices of ham and cheese that were left we could indeed see that it had been a busy morning. Luckily they did bring out more bread. 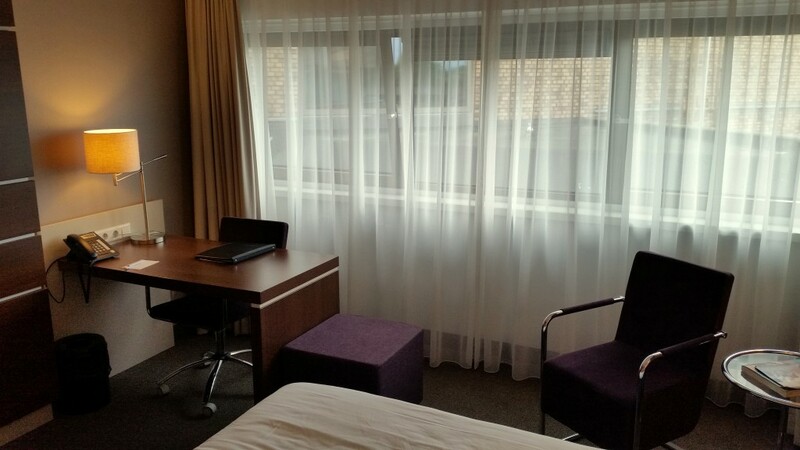 Even though our second stay at Apollo Hotel Papendrecht left us with mixed feelings, in general we quite like the place. 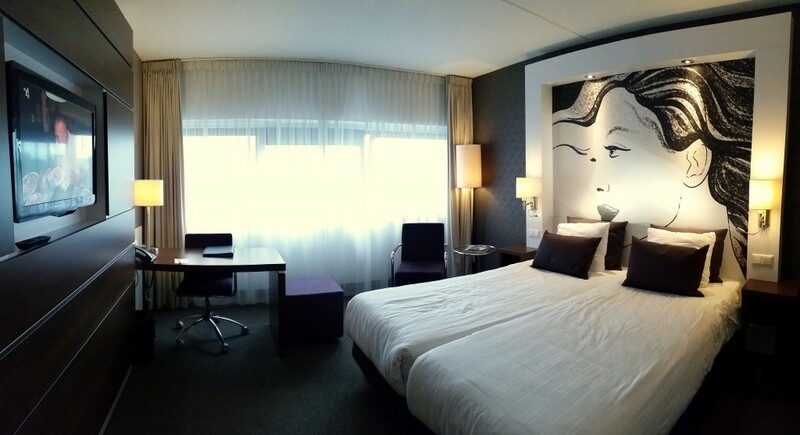 So who knows, we might give the hotel, and the staff, another chance on one of our next quick escapes to Rotterdam.